Hello World, I am Naresh Keshavwar. My Mom calls me Nareshu (the extra “u” is just the motherly love), friends call me Anna (I am the only South Indian in the group) and my colleagues know me as Naresh K, Keshavwar and NK. I am half Marathi and half Telugu. My hometown being on the border of Maharashtra and Andhra Pradesh (they say now its Telangana) helped me learn both the languages. I am currently associated with one of the best IT MNC and my current base if Hyderabad. I am a Tech Enthusiast, a part time blogger, Sachin Tendulkar fan and father of a adorable junior named Champ. I love new gadgets especially mobiles. I always keep myself updated with the latest in the world of technology. So, I am here to share my views on these latest happenings in the world of technology with the world. Its been just a couple of months but I am enjoying every bit of it. As I am based out of India, most of my posts are limited in scope. But hey don’t run away I said most not all. I am sure there are many of you who are more or less similar to me and love gadgets. This blog is for the people like you and me. So Please follow the blog and stay updated. Thank you for visiting. Let me know your comments. Good day. The wait is over. Flipkart will launch the Moto X in India tomorrow and as reported earlier by yours truly, the phone gets a sub 25k price tag and will be available for INR 23999. To celebrate the launch, Flipkart has also announced several offers for the customers buying the phone tomorrow. The offers include 1000Rs cashback on EMI; Flat 70% off on Moto X covers and 10 lucky customers will get the phone for free. At this price, the phone will be directly competing against the Samsung Galaxy S3, Lenovo Vibe X, Micromax Canvas Knight and the Sony Xperia ZR. I think for anyone looking for a smartphone under 25k; the Moto X will make a superb choice. There is no doubt that Motorola has managed to get the pricing of the phone right and it would be interesting to see how well the Moto X be received in India. Motorola is happy place these days. The phone maker tasted huge success with its budget offering Moto G. The phone was well received in all the markets. In India Motorola made the phone available exclusively on Flipkart and succeded in setting the sales chart on fire, making it Motorola’s highest selling smartphone ever. Buoyed by the success, Motorola is now bringing its flagship, the Moto x to India via Flipkart. Although there is absolutely no denying that moto X is a great device and is one of the best android phones of last year, it will not be an easy ride for the phone in India. The biggest reason for that is the price. India is a price sensitive and brand conscious market. The local players have established a name for them by launching some decent phones at affordable price. Motorola, rightly took a leaf out of these companies book and priced the Moto G agressively making it the best phone in the budget category. People looking for a decent budget smartphone at a rather affordable price tag, grabbed the moto G quickly. But the Moto X clearly doesn’t have that luxury. Motorola took a completely different route with the Moto X. Although it packs some decent specifications, it is clearly light years behind what other flagships are offering. The phone comes with HD display, Dual core processor and close to stock android to run the device while other OEM’s are churning out flagships with Full HD (and QHD) display, Quad core/ Octa Core processors etc…So even if Motorola launches the phone in India at its current US price of $349 plus taxes, it will be priced around 25-27k. This puts it right against the Nexus 5, Samsung current flagship the galaxy S4 (S5 yet to launch), the Xperia Z and the recently launched Canvas Knight. Compared with Moto X, all these phone have superior specs in all the departments and it would be very tough task for Motorola to convince buyers. 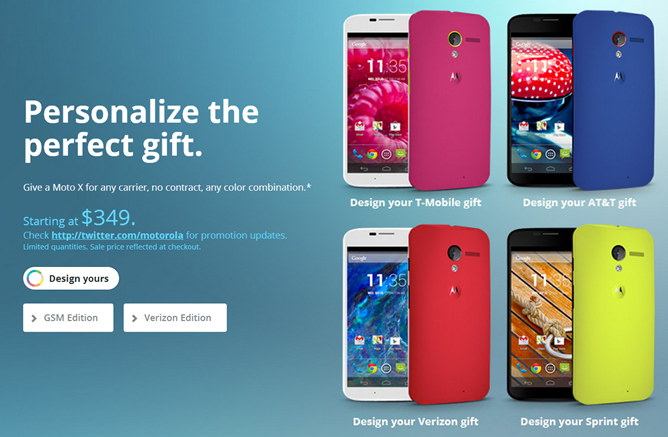 Only time will tell how Motorola will woo buyers and convince them to buy the Moto X.
It’s official. The Motorola Moto X is coming soon to India and just like Moto G it will also be exclusively available on flipkart. Flipkart in a tweet today made the announcement but did not mention any launch date. However according to NDTV Gadgets the phone will be unveiled on 19th March. Flipkart also mentioned that there will be exciting offers on the Moto X launch date continuing the tradition they strted with the Moto G.
Unfortunately Moto Maker is not coming to India. But Motorola will be releasing the phone in number of colors as well as with wood back. Just to rewind a bit, the Moto X comes with a 4.7″ HD Active Matrix Display with Corning Gorilla Glass protection. Under the hood there is Qualcomm MSM8960Pro Snapdragon Dual-core 1.7 GHz Krait with Adreno 320 GPU and 2GB RAM and runs on Android 4.4.2 Kitkat.On the imaging front, the Moto X flaunts a 10MP Clear Pixel Camera accompanied by a 2MP secondary camera. The phone is currently available in US for $349 unlocked and we expect a sub 25k price tag in India. 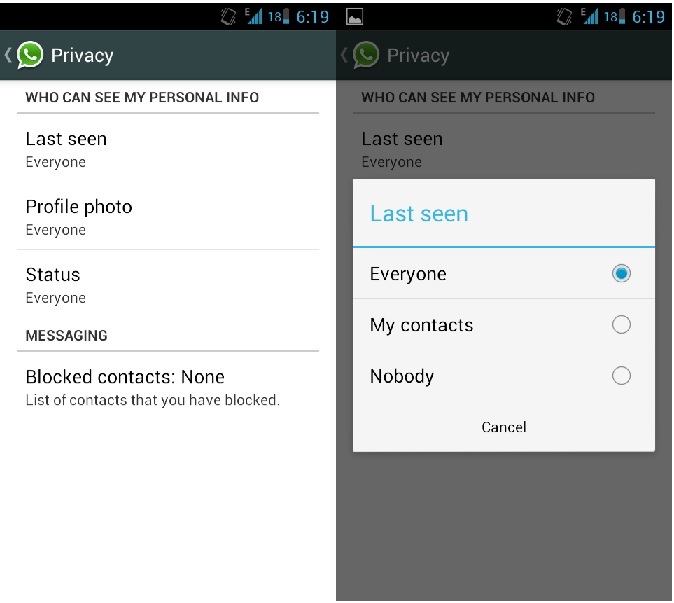 WhatsApp has rolled out a major update to its Android app. The messenger now gives complete control to the users to show or hide their Last Seen, Profile Pic and Status update. To use the features, users need to update the app to version (2.11.186) from Google Play Store. once the app is updated, users can change their privacy setting from setiing menu under account setting and then privacy (Settings > Account > Privacy). The update also includes many other interesting new features like enabling users to pay for their friends WhatsApp service. Now users can pay for their friends Whatsapp service by visiting the perticular friends contact in their WhatsApp contact list and then from Menu select Pay for friend. Apple has released iOS 7.1 update for the iPhone and iPads. The update includesmany bug fixes, UI tweaks and also brings performance improvements to the iPhone 4. It is known fact that users who updated their OS to iOS 7 on iPhone 4 suffered performance issues and the update is aimed to fix the issue. The iOS 7.1 update also brings the much talked Carplay which makes using iPhone while driving your car lot simpler. Apple had recently demonstrated the Carplay which enables the users to control their phone via the car’s touchscreen, knobs, and buttons and Siri. The update also includes several bug fixes, UI reinements and improves theTouch ID Fingerprint recognition. The update is available via OTA and iTunes. 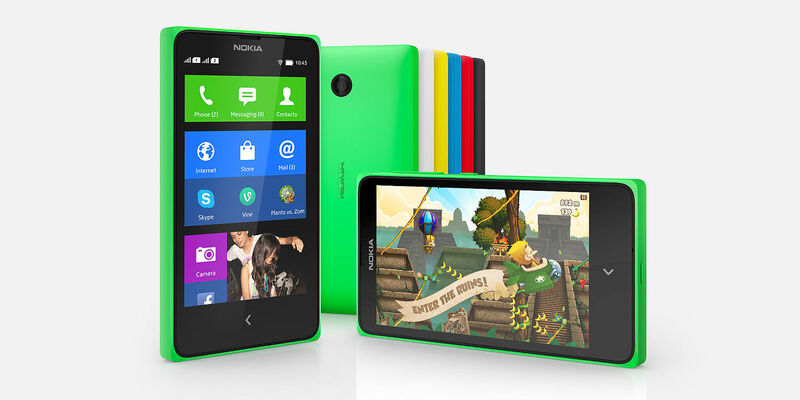 Nokia’s first android smartphone, the Nokia X will be launched in India on March 10th.The phone is already listed on the mobile store with a pre-order price tag of INR 8500 which makes it a direct competetor of the Lumia 520/525 but one can expect the official price to be less than that. We are expecting a price tag of sub INR 7000. As we already know the phone runs on forked version of AOSP and does not officially support any of the Google apps and Services. 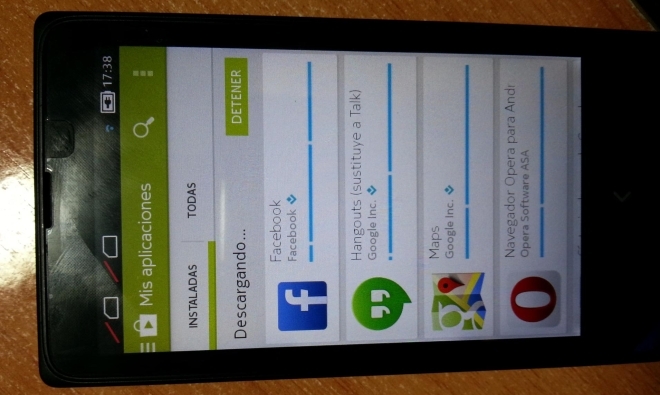 Users can install apps from the Nokia store, third party app stores and by sideloading the APK files. Micromax has officially launched its first Mediatek Octa Core based smartphone, the Canvas Knight A350 in India today. The phone comes with a 5” 1920×1080 Full HD display and is powered by 2 GHz Mediatek True Octa Core chipset with Mali 450 GPU and 2GB of RAM. The internal storage is 32GB and there is no provision of microSD card slot which means you cannot expand the storage. On the imaging front, Micromax has included a 16MP AF camera at the back and there is also a whopping 8MP front facing camera which should help you in clicking some decent selfies and making video calls. The phone runs on now aged Android 4.2.2 which is a clear letdown. We would have liked 4.4.2 Kitkat out of the box. We must note that none of the Mediatek chipset based phones launched till now have managed to go past 4.2.2 version of Android. Not sure if it has anything to do with their chipset compatibility and it would be interesting to see if Micromax will update the phone to 4.4.2 Kitkat or atleast 4.3 JB. The phone is powered by a 2350mAh battery which the company claims will give a standby time of up to 175 hours and talk time of up to 7.5 hours. 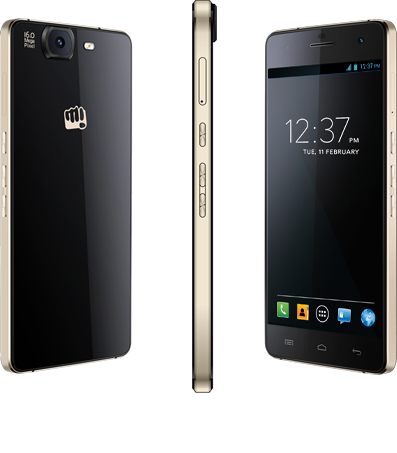 The Canvas Knight is already exclusively available on the official site of Micromax for INR 19,990 which make it a good buy. The phone will be directly competing with the recently launched Octa Core smartphones like the WickedLeak Passion X, iBerry Auxus Nuclea N2 and the Intex Aqua Core smartphone which are also available for a similar price tag.